We Are The World: This Just In. . . 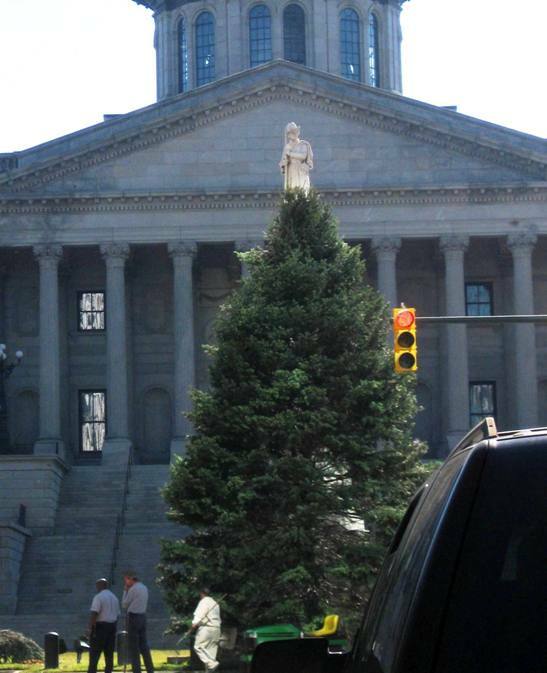 The girls and I went rotating in Columbia yesterday between classes and found a crew putting up the Christmas Tree on the State House Grounds at Gervais and Main. It was very exciting. It had to grow on me, but now I think I'm really digging the new tree topper. It's a monument you can see in the background 'cause the tree is small. I think it's George Washington, but it might be Strom Thurmond.